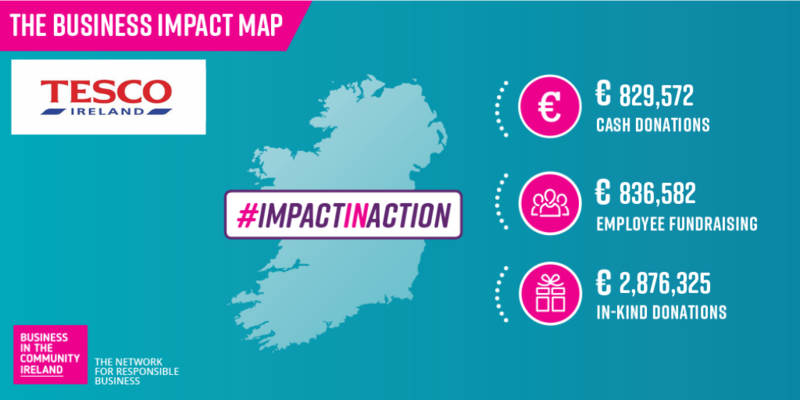 Yesterday Business in the Community, Ireland’s network for corporate social responsibility, published their annual Community Impact Map to bring to life the impact that businesses have on local communities all across Ireland. 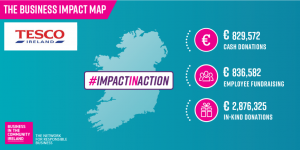 The Impact Map features 60 of the largest and most socially responsible businesses in Ireland such as Vodafone, Microsoft, Eir and the ESB, and showcases the positive benefits that they bring to towns and cities nationwide through colleague volunteering, cash and in-kind donations, fundraising and much more. 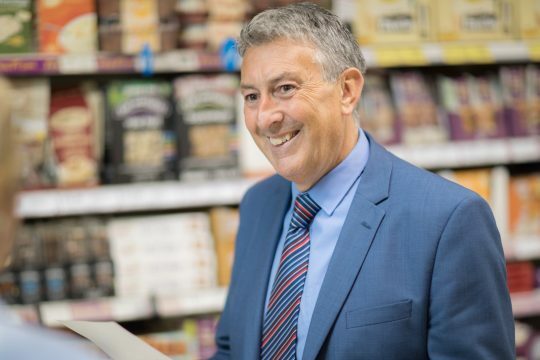 We featured very strongly in the Impact map overall and were the retailer with the highest level of contributions, ranking 1st for the amount of in-kind donations through the Tesco Surplus Food Donations Programme and our local product donations, 2nd for employee fundraising recognising our amazing partnership with Temple Street and 3rd for cash donations through our support for local projects in the Tesco Community Fund. 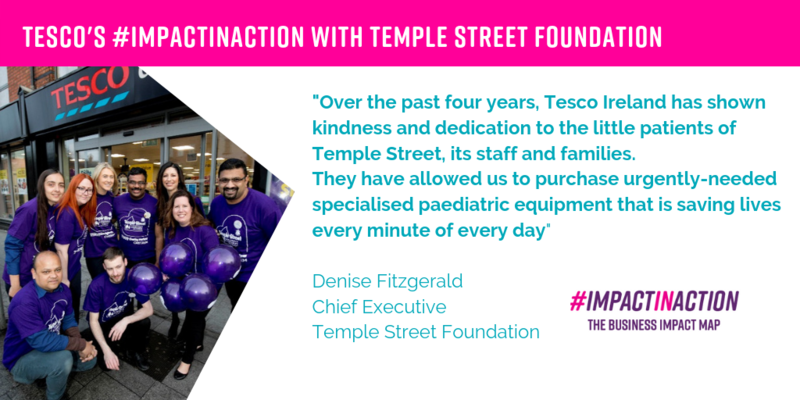 Raised €836,582 for our Charity Partner Temple Street through colleague fundraising. 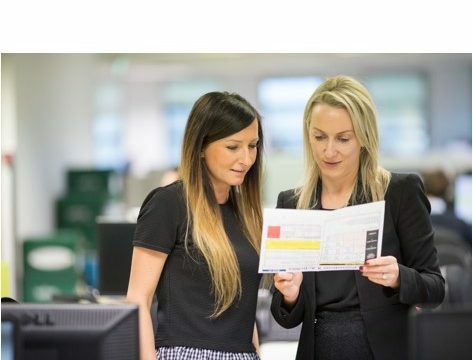 Make sure to check out our Impact Map here to see an overview of the great working we’re doing in the community as well as what other companies are doing. 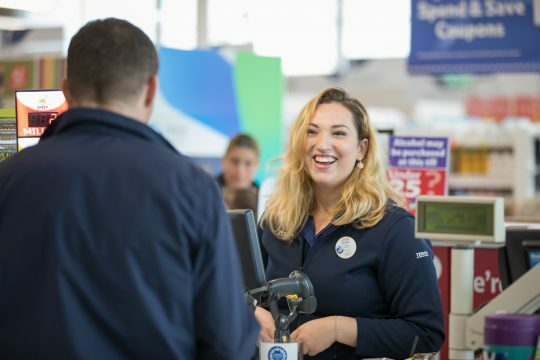 Well done to our colleagues for the difference you’re making to the lives of individuals and families across Ireland through our community programmes, and keep up the great work!